The Kansas Enrichment Network and the Missouri Afterschool Network are hosting the 2016 Municipal Summit on Afterschool and Expanded Learning. Mayor Sly James from Kansas City, MO and Mayor Peggy Dunn from Leawood, KS will discuss and explore the dire need for afterschool and expanded learning opportunities in your community. The reception on Friday, June 3rd and summit on June 4th provides time to learn about the importance of offering valuable learning experiences during the 80% of time children/youth are not in the formal classroom setting. Time also will allow attendees to connect with other city leaders and officials from Kansas and Missouri. Reginald McGregor of the Rolls-Royce Corporation, and long-time supporter and champion for afterschool, will provide the keynote address and will be joined by other afterschool experts and panelists. The pre-summit reception will be held at the American Restaurant on Friday, June 3rd from 6:00pm-8:00pm. 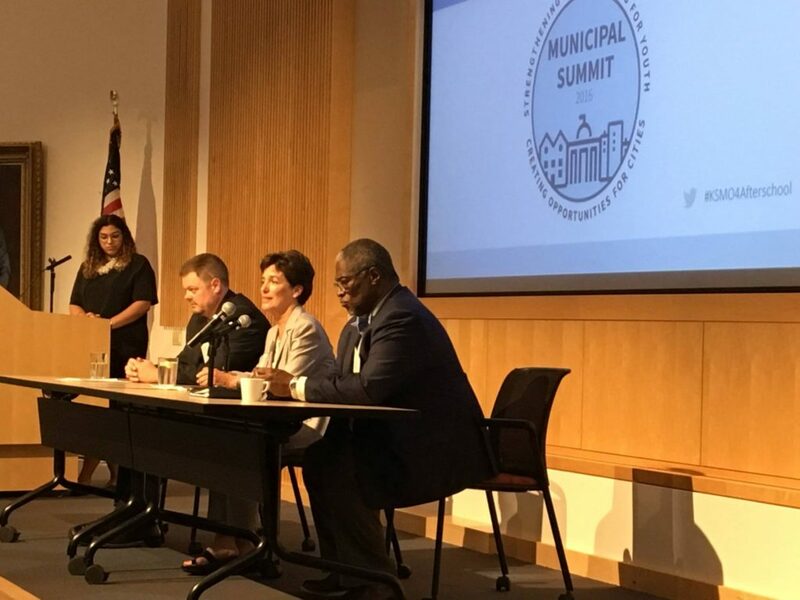 The Municipal Summit will be located at the Kauffman Foundation Conference Center on Saturday, June 4th from 8:30am-3:00pm. Participants are encouraged to bring a team from their community. Team members could include the mayor, other local elected officials, business representatives, law enforcement offices, and nonprofit leaders. Space is limited so please register TODAY!